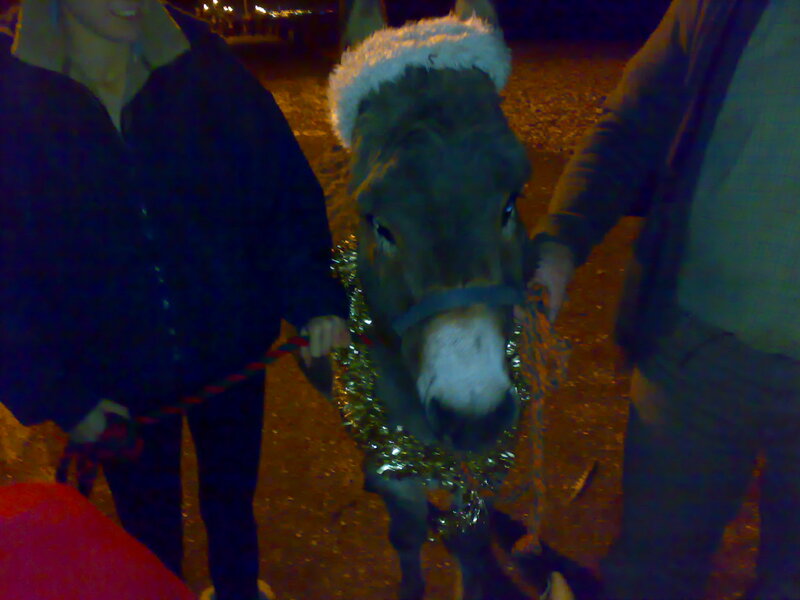 Albert the Donkey who made a public appearance at the Christmas Eve Advent Beach Hut. He's a professional celebrity donkey. Just hangs around wearing silly costumes and eats carrots all day.